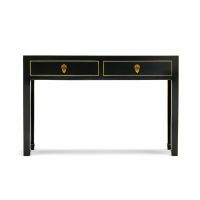 With eastern design influences, this Nine Schools Chinese Collection large console table has a beautiful decorative finish and would be an elegant statement piece of furniture in any hallway or living room. 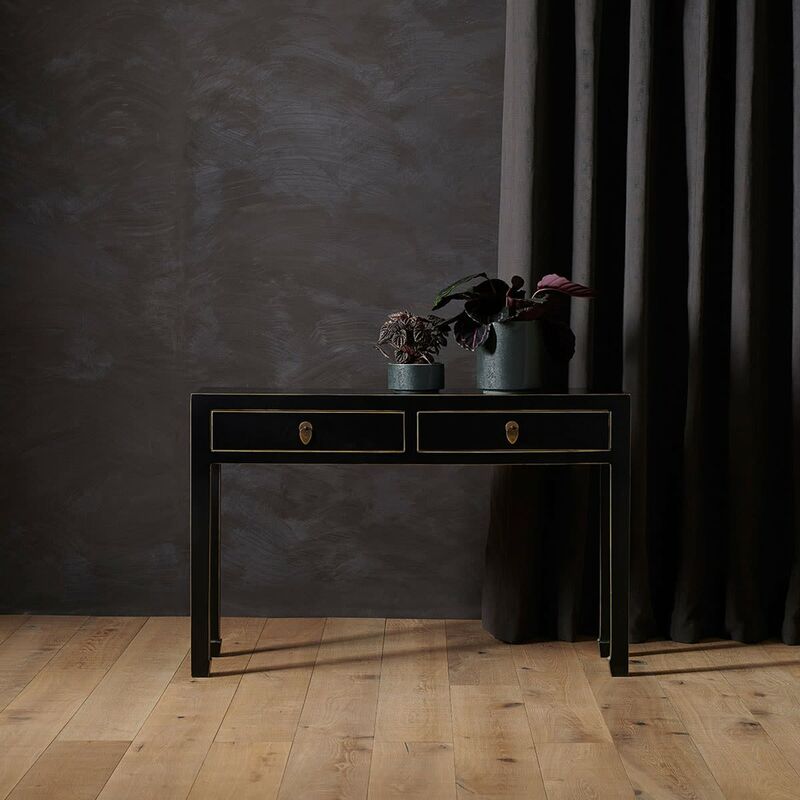 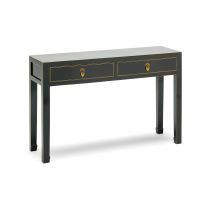 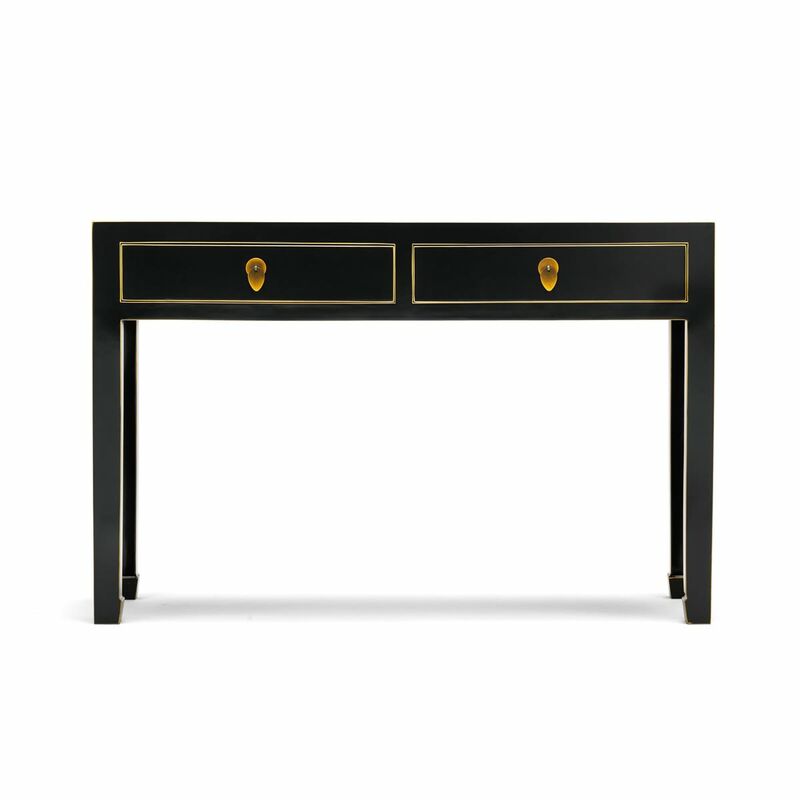 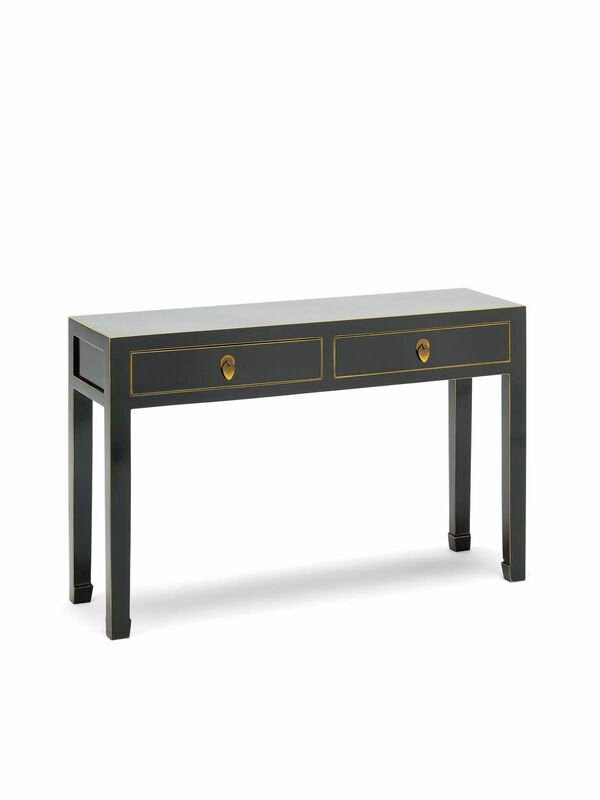 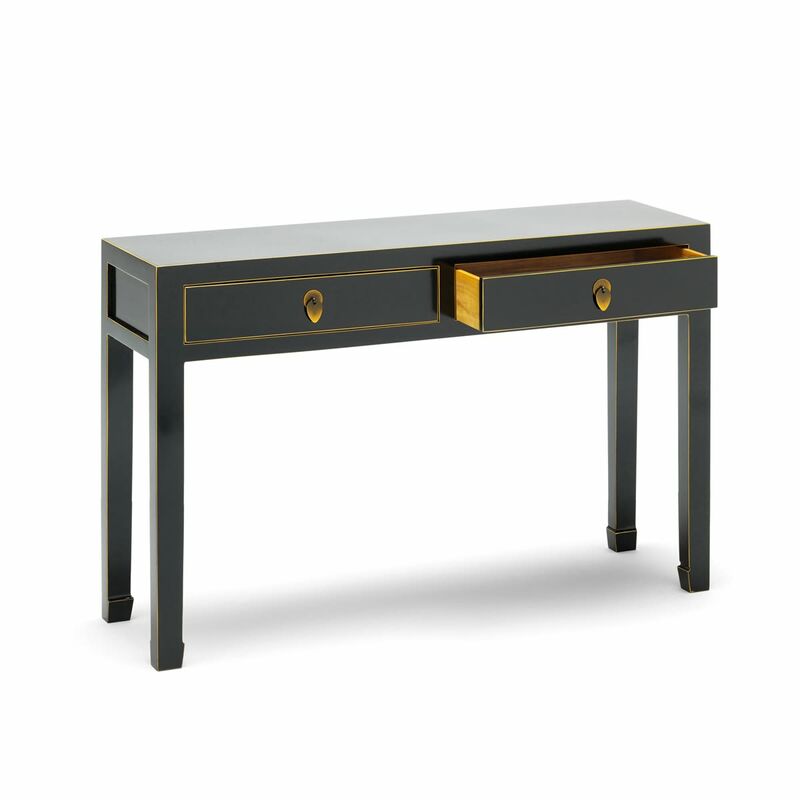 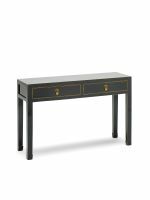 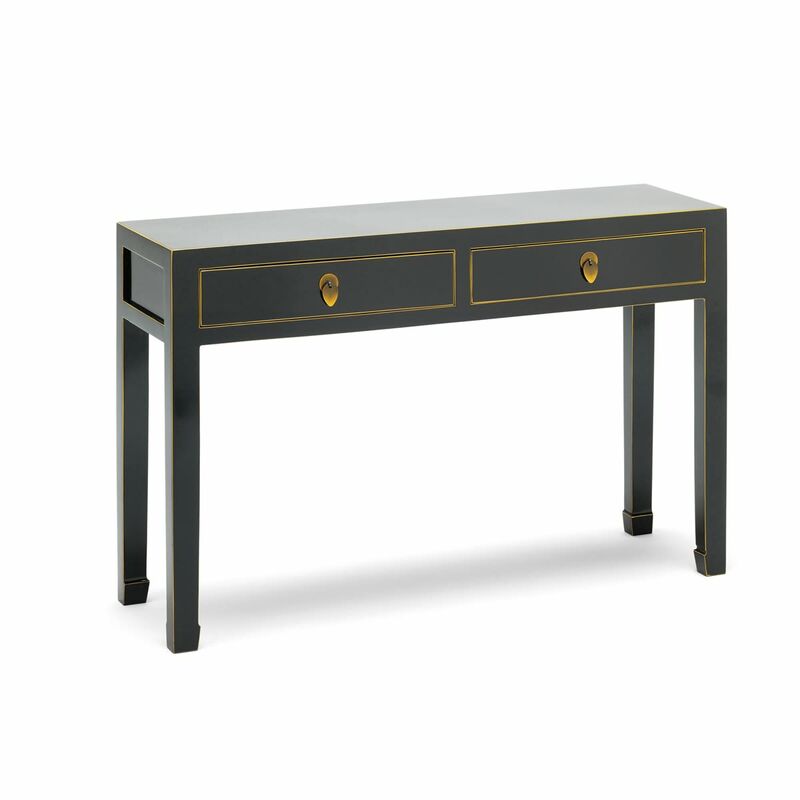 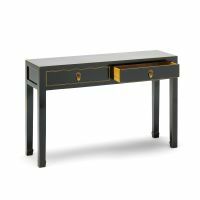 The console table has a high gloss black lacquer varnish and is hand finished with gold leaf around the edge. 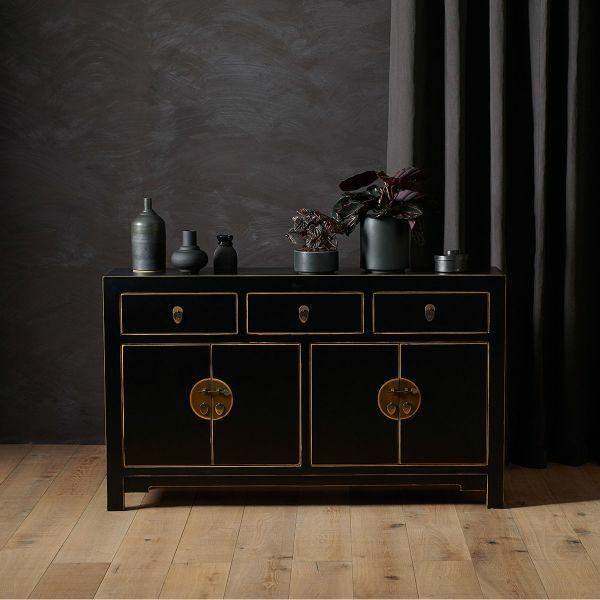 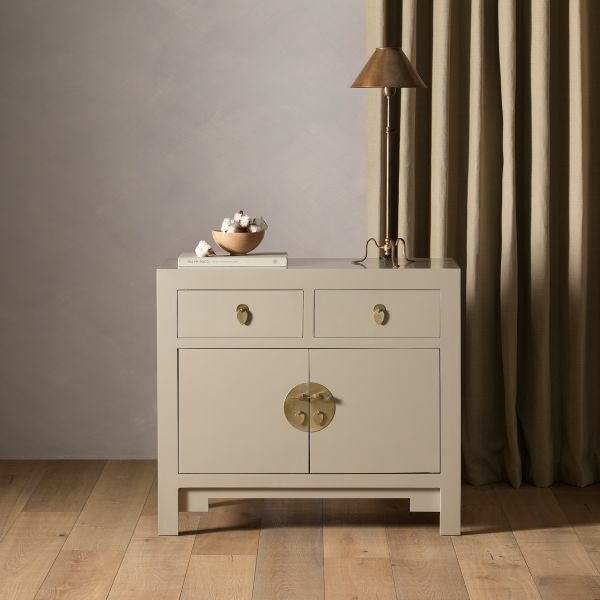 The two drawers are complement with an antiqued metal fastening and offer some useful slimline storage. 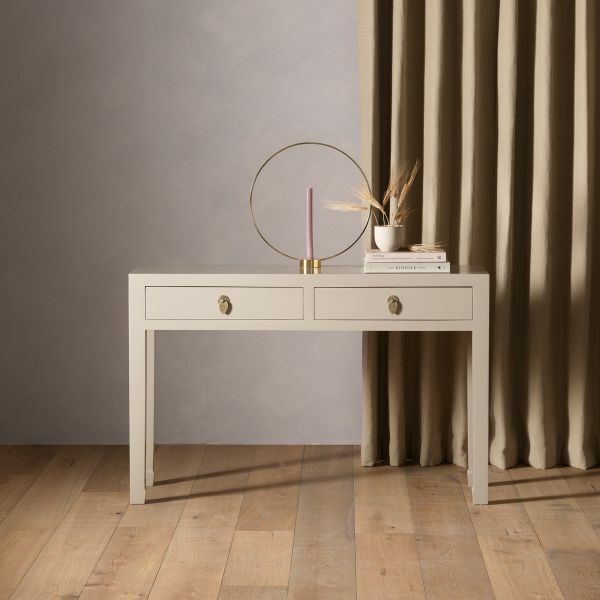 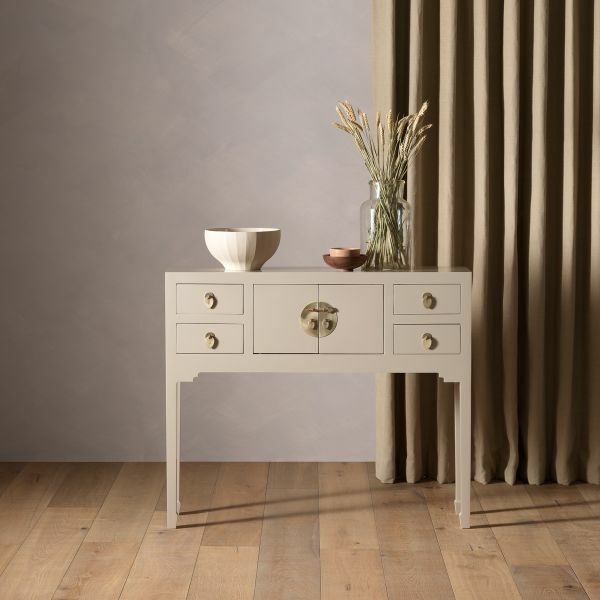 The large console table is constructed from poplar wood and is delivered fully assembled.